To enhance the security of all window designs, Caldwell can supply an extensive range of hardware and trickle ventilation options. 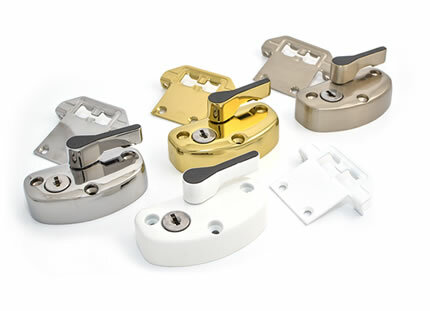 Our sash window hardware in particular includes a variety of sash locks, travel and tilt restrictors which not only provides excellent aesthetics, but is also able to perform to a high standard. Caldwell’s comprehensive range manages to incorporate sash window hardware which is highly secure, practical, discreet, and is able to integrate into the requirements of virtually any project, whether you’re specifying for new build or for a restoration project. To balance levels of safety and security, our selection of sash window restrictors are designed to limit the travel distance of the sash which can dramatically decrease the risk of forced entry. Our travel restrictors can also be fitted with locks for additional security, and are self-engaging to ensure that they automatically re-engage when restored to their original positions. 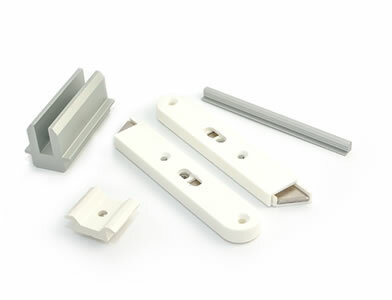 For additional security during sash cleaning and maintenance, Caldwell can supply a variety of sash window tilt restrictors. Able to retain sashes up to 50kg in weight, Caldwell’s tilt restrictors facilitate cleaning and maintenance which is safer for the consumer, as it can be done from inside. Incorporating an internal bi-axial anti-jamb mechanism, our tilt restrictors ensure that once lowered, the sash is able to return to its upright position hindrance free – eliminating the need to fully open or disassemble the window. Caldwell can provide a range of locks which can provide all sashes with excellent levels of security. Due to sweeping cams and cylinder locks they are highly resistant to tampering, meaning that they can offer improved security. Sash locks from Caldwell can also help to push up the window’s keep, giving the sash a better seal to guard against adverse weather conditions, meaning that our range of sash locks offer security and functionality in equal measure. Our extensive range of locks contains both modern and traditional designs, so specifiers and fabricators can be assured of a finding a lock which conforms to both performance and aesthetic requirements.